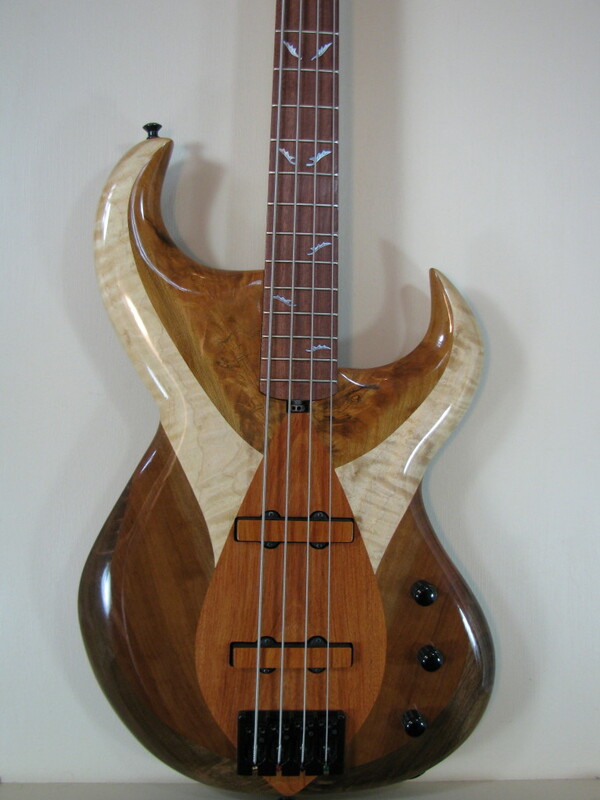 DJP Guitars are built utilizing both beautiful and resonant tone woods, as well as other natural materials. Since each DJP guitar is custom ordered and built per client specification, material costs will be determined by market prices at the time the order is placed. DJP guitars are made by hand and from scratch with a minimal amount of machine work, allowing more flexibility in the design possibilities while also significantly reducing material waste. Dan Petrovic frequently supports local and other small businesses for his woodworking needs, including U-Pick Hardwood Lumber.